A communist utopia in Marinaleda, Spain. All photos by Dave Stelfox. For as long as human beings have dreamed, they have dreamed of creating a better world. We’ll soon mark the 500th anniversary of Thomas More’s Utopia, his short book describing a fictional island whose name in Greek means “no place.” We are used to utopia as an imagined world or an idealized vision of the future, an abstract intellectual exercise rather than a concrete attempt to forge a new community. But what if you actually tried to build utopia? In 2004, I was leafing through a travel guide to Andalusia and read a fleeting reference to a small, remote village called Marinaleda — “a communist utopia” of revolutionary farm laborers. I was immediately fascinated, but I could find almost no details on the internet or on the lips of strangers I met in Seville. “Ah yes, the strange little communist village,” a few said. But none of them had visited, or knew anyone who had — and no one could tell me whether it really was a utopia. The best anyone could do was add the name of the village’s charismatic, eccentric mayor, the man with a prophet’s beard and an almost demagogic presence, Juan Manuel Sánchez Gordillo. Eventually I found out more. The first part of the miracle is that the villagers’ struggle to create utopia began, in the late 1970s, from a position of abject poverty. Marinaleda was a farming community suffering 60 percent unemployment; its people had no land of their own and were often forced to go without food for days at a time, during a period of uncertainty after the death of the fascist dictator Francisco Franco. The second part of the miracle is that, over three extraordinary decades, they won. As Spain began a slow, careful transition from fascism to liberal democracy, the people of Marinaleda formed a political party and a trade union, and began fighting for land and freedom. They occupied airports, train stations, government buildings, farms and palaces; went on hunger strike, blocked roads, marched, picketed, went on hunger strike again; were beaten, arrested and tried countless times for their pains. Astonishingly, in 1991 they prevailed. The government, exhausted by their defiance, gave them 1,200 hectares of land belonging to the Duke of Infantado, head of one of Spain’s oldest and wealthiest aristocratic families. Today, unemployment in Andalusia is a staggering 36 percent, and for young people, 16 to 24, over 55 percent — figures worse even than the egregious national average. The construction boom of the 2000s cluttered the coast with cranes and encouraged a generation to skip the end of school and take €40,000-a-year jobs on the building sites. That work is gone, and nothing is going to replace it. With the European Central Bank looming ominously, Prime Minister Mariano Rajoy has introduced labor reforms to make it easier for businesses to sack their employees. In Andalusia, 40 families a day are turfed out of their homes by the banks, and under Spanish housing law, you have to keep paying the mortgage even after eviction. Suicides by homeowners on the brink of foreclosure have become horrifyingly common — on more than one occasion, while the bailiffs have been coming up the stairs, evictees have hurled themselves out of upstairs windows. When Spanish people refer to la crisis they mean the Eurozone crisis, but it is more than that. It is a systemic crisis, a political ecology crack’d from side to side: a crisis of seemingly endemic corruption across the country’s elites, including politicians, bankers, royals and bureaucrats, and a crisis of faith in the democratic settlement established after Franco’s death. A recent poll by the (state-run) Spanish Centre for Sociological Research found that 68 percent of citizens were unhappy with the way their democracy works. Their disdain for the government brought 8 million indignados onto the streets in 2011 and informed the rallying cry ¡Democracia Real YA! — real democracy now. But in one small village in Andalusia’s wild heart, there lies stability and order. Like Asterix’s village impossibly holding out against the Romans, in this tiny pueblo a great empire has met its match, a ragtag army of boisterous upstarts yearning for liberty. The bout seems almost laughably unfair — Marinaleda’s population of 2,700 vs. Spain’s 47 million — and yet the empire has lost, time and time again. Sixty miles east of the regional capital, Seville, surrounded by an endless expanse of farmland, sits Marinaleda. The bus stop sees two buses a day, one going to Seville and one the other way, and there is no train route for miles around. Looking south from my landlord’s whitewashed balcony, the only visible signs of the 21st century are spiky TV antennas, the spindly church weathervanes of this predominantly secular community. Otherwise, the residential part of the village appears the same as it ever was. The leaves on the orange trees stir reluctantly in the intermittent breeze, a chicken wanders past a man in blue overalls turning over the soil in his vegetable garden. Little farming is actually done right next to the village. El Humoso, the 1,200-hectare farm owned by the village cooperative, is several miles away. However, there is one olive oil processing plant in the village itself, providing a heavenly scent to counterbalance the exhaust fumes from the main road. And on the fringes there are numerous big sheds and garages with dark, open interiors and clumsy, lethal-looking farm equipment. Tractors and trailers and things with big metal teeth and spikes — and occasionally sparks from the soldering iron. Then there is the sizeable vegetable processing and canning factory on the edge of the village, built to create more work for the cooperative in the 1990s, proudly adorned with massive paintings of pimentos and artichokes. In the darkness of a winter morning, Marinaleda’s workers are clustered around the counter of the orange-painted patisserie, Horno el Cedazo. Here they stand, knocking back strong, dark coffee accompanied by orange juice, pastries and pan con tomate: truly one of the world’s best breakfasts, a large hunk of toast served alongside a bottle of olive oil and a decanter of sweet, salty, pink tomato pulp. Pour on one, then the other, then a sprinkling of salt and pepper, and you are ready for a day in the fields. Those with stronger stomachs also knock back a shot of one of the lurid-colored liquors arrayed on a high shelf behind the counter; the syrupy, pungent anís is the most popular of these coffee chasers. Tucked away in a corner of the bakery is a stand selling lottery tickets — phenomenally popular across Spain — with millionaire prizes called things like El Joker. The big advertisement behind the lottery desk is for EuroMillones, a colossal mega-lottery that runs across Europe, with a minimum prize of €15 million. The poster features a brown brick wall cut away to reveal a glimpse of a tropical paradise, clear blue seas and a yacht sailing off into the sunset. The slogan, written in mock graffiti on top of the brickwork, says “LA LIBERTAD ES EL PREMIO.” Freedom is the prize. The troika, you feel, would approve of this kind of utopian dreaming, this consumerist vision of freedom. All work in the Marinaleda cooperative is shift work, depending on what needs harvesting, and how much of it there is. If there’s enough work for your group, then you will be told in advance, through the loudspeaker on the van that circles the village the previous evening. It’s a strange, quasi-Soviet experience, sitting at home and hearing the van drive past announcing, “Work in the fields tomorrow for Group B.” The static-muffled announcements get louder and quieter as the van winds through the village’s narrow streets, like someone lost in a maze carrying a transistor radio. If you don’t have your own car to drive to El Humoso for work, then you get a lift: mutual aid and cooperation underscores a great deal of the town’s farming work, in practice as well as principle. Visiting the farm with a photographer friend during the annual olive harvest, without benefit of wheels, we were passed from favor to favor all day in a chain of instinctive, unthinking acts of kindness. We had been invited to a 10 am breakfast by Manolo, the jefe (boss) of the olive oil factory, and were struggling a bit trying to work out how to get there. In the 1980s, the marinaleño occupiers had walked those ten miles along the road every single morning in the summer heat; we, however, were rather hoping for a lift. But all of my friends in the village were busy or working elsewhere, and the people actually working in the fields had all set off at the crack of dawn. Eventually, after ringing around a bit, we were told: “Turn up at this address on Avenida de la Libertad and ring the doorbell, a guy called Pepe will take you.” I’d never met Pepe before, but he was quite happy to give up half his morning to drive us out to the farm; he was a history buff, and delighted in telling us about the old days — he even showed us his blog before we set off. Once we arrived at the oil factory at the entrance to El Humoso it quickly became clear that Pepe knew Manolo, and José, and Bigotes — they’re all the same generation, 50-plus, all guys who were in the village since the project began; so Pepe joined us for breakfast, too. In some kind of teleological mistake, we started at the end, not with hours of hard physical labor, but with the epic breakfast which ought to be its reward. In a small rec room off the main factory floor, on a shiny plastic tablecloth, were laid pieces of kitchen towel, and a single rugby-ball-shaped loaf of bread for each of us — the kind with orange-colored crusts that are so hard they could probably be hurled, quarterback-style, across a factory floor and still remain intact. We were shown what to do next. You cut the loaf lengthways to create two giant half-moons of bread, then push your thumbs into the fluffy white dough to make some space, before taking the unmarked jug of olive oil and pouring its rich green contents into the cavity, so it seeps into the dough. You then devour these giant half-moons of fruity olive oil bread with pieces of jamón from the leg clamped to its special stand, slices of manchego cheese, and chunks of peppery salchichón, hacked off and eaten in lumps. The oil was fresh out of the vats, yet to be bottled, and actually tasted of the aromatic air you smell deep in the olive groves. “Would you like a drink? Some coffee?” offered Manolo. “Or wine?” We laughed, and opted for coffee. It hadn’t been a joke. Manolo’s brother José, who manages the land, and whose overalls suggested he had done more that morning than I had all week, opted for wine. Manolo reached up to a box of white wine on a shelf behind the coffee machine, and held down the little tap until he had filled a decent-sized tumbler of the stuff. Manolo went on to tell me disdainfully about another book, a stupid book by someone who did not understand all this history, who did not understand the suffering and deprivation of the old days. I knew it well: Félix Talego’s Worker Culture, People Power and Messianic Leadership. Talego is an anthropologist, not a right-wing critic out to destroy the village, but since the title of the book included the phrase “messianic leadership,” it’s not hard to see why the members of the cooperative took against him. I feigned ignorance, not wanting to associate myself with another suspicious outsider who asked a lot of questions — and chose the wrong answers. As breakfast was tidied away, my photographer friend Dave showed them some photos he’d taken of the olive oil factory, flicking the wheel around on the back of his digital camera. As he reached the end of the pictures of El Humoso, he accidentally flicked onto some portraits he had taken the previous day of Mariano Pradas, the village’s Socialist Party leader and longstanding enemy of Sánchez Gordillo, which he hadn’t got around to deleting from the memory card. There was a sharp intake of breath from the workmen. “Oh,” said Manolo. “The opposition.” And he made a face. The solidarity of struggle binds people together in an almost ineffable way through a shared experience, a shared goal, shared risks and hardships. “Solidarity,” when practiced over decades by one community fighting a distant, hated other, becomes a psychological state. Combine this with the comradeship of working together every day, on a project which is the spoils of your struggle, and you have a kind of loyalty greater even than the sum of those two parts. You feel it in the way the older marinaleños talk about the old days in general, but it comes across even more powerfully from that generation when they talk about el alcalde (the mayor) and his enemies: these guys were with Sánchez Gordillo since the beginning. As soon as the 1,200-hectare farm was won in 1991, cultivation began. The new Marinaleda cooperative selected crops that would need the greatest amount of human labor, to create as much work as possible. In addition to the ubiquitous olives and the oil processing factory, they planted peppers of various kinds, artichokes, fava beans, green beans, broccoli: crops that could be processed, canned and jarred, to justify the creation of a processing factory which provided a secondary industry back in the village, and thus more employment. “Our aim was not to create profit, but jobs,” Sánchez Gordillo explained to me. This philosophy runs directly counter to the late-capitalist emphasis on “efficiency” — a word which has been elevated to almost holy status in the neoliberal lexicon, but in reality has become a shameful euphemism for the sacrifice of human dignity at the altar of share prices. Sánchez Gordillo once suggested to me that the aristocratic House of Alba could invest their vast riches (from shares in banks and power companies, as well as multimillion euro agricultural subsidies for their vast land holdings, or latifundios) to create jobs, but they’ve never shown any interest in doing so. “We believe the land should belong to the community that works it, and not in the dead hands of the nobility.” That’s why the latifundio owners plant wheat, he explained — wheat can be harvested with a machine, overseen by a few caretakers. In Marinaleda, crops like artichokes and tomatoes are chosen precisely because they need lots of labor. Why, the logic runs, should “efficiency” be the most important value in society, to the detriment of human life? The town cooperative does not distribute profits: any surplus is reinvested to create more jobs. Everyone earns the same salary, 47 euros a day for six and a half hours of work: it may not sound like a lot, but it’s more than double the Spanish minimum wage. Jornalero participation in decisions about what crops to farm, and when, is encouraged, and often forms the focus of the village’s general assemblies — in this respect, being a cooperativista means being an important part of the functioning of the pueblo as a whole. Where once the day laborers of Andalusia were politically and socially marginalized by their lack of an economic stake, they are now — at least in Marinaleda — called upon to lead the way. Non-cooperativists are by no means excluded from involvement in the town’s political, social and cultural life — it’s more that if you are a part of the cooperative, you can’t really avoid being swept up in local activities outside the working day. Many visitors to Marinaleda seem to expect the rhetoric about autonomy and self-sustainability to mean that everything grown on the land is consumed in the village, with nothing imported or exported. It doesn’t quite work like that: they’d have an unusually pimento-heavy diet if they operated according to the principles of subsistence farming here. The produce is certainly sold in the village: you can find the El Humoso logo on jars and tins of vegetables in the few grocery shops. But the bulk of El Humoso produce is sold outside the village, all over Spain and even abroad. Inevitably, the unique context for the cooperative’s produce is made clear in its marketing: “Know that when you consume any product from our cooperative, you are helping to create employment and social justice.” Why not, suggests the website, show your support for this “alternative solidary economy”? Sánchez Gordillo found himself making a similar case in 2012, when he spent two and a half weeks visiting Venezuela, doing numerous TV interviews and speeches: he eventually persuaded President Hugo Chávez’s lieutenants to invest state money in buying olive oil from the cooperative — a big deal for the village, in every sense. After our breakfast in the olive oil factory, Dave and I asked if we could see the olive harvest in action, since we had come at the right time of year. Sure, Manolo said. It was another glorious sunny winter day, and I asked if we could walk it. He laughed and shook his head. “1,200 hectares is a lot, you know?” The harvest was happening far away from the farm buildings and the road, over the rolling hills, beyond the TIERRA UTOPIA mural, beyond the horizon. So we were passed along a series of men in green overalls, piled into a mud-splattered 4×4 with Antonio and set off along the bumpy, soggy paths through the fields. Somewhere along the way our back wheel sunk deep into a muddy hole and we ground to a halt: the wheel spun and spun, but there was nothing doing. While Antonio went off to look for help, we stood amid the endless symmetrical rows of 12-foot olive trees. It was like being lost in a forest, but with no canopy overhead blocking out the light, just blue sky. It took him about half an hour to reappear, accompanied by a tractor to tow us out. At one point we spotted another group of pickers, about a quarter of a mile from the path, bent low over the reddish-brown pepper plants in the distance. When we arrived at the harvest site we found about 40 people taking in the olives, sweating away in grubby t-shirts and roughed-up jeans. Spain not only cultivates more olives than any other country on earth, it cultivates more than the second, third, fourth and fifth countries in the list (Italy, Greece, Morocco and Turkey) put together. Marinaleda’s olive oil is described as hand-crafted, which it mostly is, but they do get some help from a wonderful piece of machinery: the tree shaker. This bit of kit grasps the tree trunk about a third of the way down with outstretched metal arms, like Homer Simpson grabbing Bart’s neck. The driver then presses “shake,” and it proceeds to throttle the tree frenetically, while the olives rain down in their hundreds — aided by two men with ten-foot aluminum poles whose job it is to whack the branches while it’s shaking. It’s basic physics, but it works. After about 30 seconds of this, when the downpour of fresh olives has been reduced to a trickle, the machine releases the tree, reverses away, and swings around to attack the next. Meanwhile, the workers move in for the exhausting next phase. They gather up the vast nets that now contain hundreds, perhaps thousands of olives, tie the nets at the corners, and, with the bunched end held with both hands over one shoulder, lean into the hard slog of dragging the nets through the rows of trees to where the truck is waiting to take them back for processing. The men and women were inclined at the same narrow angle to the ground as the guys who pull articulated lorries in World’s Strongest Man competitions. They looked about as determined, so we tried not to get in their way. As late morning turned into early afternoon, another smiling chap in green overalls offered us a lift back to the farmhouse where we had begun, and we decided to take it — we didn’t want to get stuck out there. This time, it transpired, we would be travelling in a rather more old-school way: in the back of an olive truck, clinging onto the sides, supported by the rustic cushion of thousands of freshly harvested olives. “Have you tried squeezing them between your fingers?” asked Dave. I squeezed, and managed to hit myself right in the eye with the gloriously fragrant gloop of fresh olive oil. It smelt amazing on my fingertips, toasting in the December sunshine: some consolation for the temporary blindness. At the farmhouse we hung around some more, taking photos and idly wondering how to get home, when another white 4×4 pulled up, and a big, rectangular wardrobe of a man in his 50s leaned out and asked if we needed to get back to the village. It was getting near lunchtime — Spanish lunchtime; English lunchtime had long since passed — and so the traffic was going in the right direction. The working day in the fields is over by 3 pm. So we chuntered along the blessedly flat roads, back towards Marinaleda, with Estepa looming halfway up the hill in the distance to the right. Are these lands part of El Humoso too? I asked, gesturing at the olive rows around us. No, these are all fairly small holdings, private lands, he explained, mostly owned by people from the neighboring pueblo of El Rubio, the kind of farms run by one family, perhaps with a little help from hired laborers at harvest time. We’ve visited El Rubio, I told him: in a way, it’s not really so different from Marinaleda, right? Another small Andalusian pueblo with lots of jornaleros, some tapas bars, and a carnival? He briefly turned his head away from the road ahead and looked at me like I was a small child. “It’s completely different.” That told me. The land — the dirt, the earth itself — is not only deemed to be a sovereign right, a home; in a deep sense, it is almost part of the jornalero’s DNA. La tierra is exalted throughout Sánchez Gordillo’s rhetoric, and in the language of his political fellow travelers. This is both geographical and historical: to be surrounded by it and denied ownership of it, for so long, gives the earth a very different hue. But this unwavering focus on the land as the ultimate goal leaves no room for diversification or distraction: there is never a suggestion, or even a consideration, that utopia might be protected and furthered by the expansion of job creation into other areas. Marinaleda’s motto — one of its many mottos — is “Land to the tiller.” That is what they as a pueblo are destined to do. Private enterprise as such is permitted in the village — not only legally, but perhaps more importantly, as an accepted part of life. There are seven privately owned bars and cafés in the village (the Sindicato bar is owned by the union), and if you wanted to open a pizzeria or a little family business of any kind, no one would stand in your way. But if a hypothetical Head of Regional Development and Franchising for, say, Carrefour, or Starbucks, with a vicious sense of humor and a masochistic streak, decided this small village was the perfect spot to expand operations, well — they wouldn’t get very far. “We just wouldn’t allow it,” Sánchez Gordillo told me bluntly. The point is that Marinaleda is not, in the full extent of its economic operations, a communist village. Or at the very least, in the Soviet analogy, it’s more NEP than War Communism, a mixed economy that permits the generation of some small-scale private profit, rather than an all-encompassing, centrally planned control economy. There are a number of privately owned farms, mostly small plots of land owned by a single family, enough to sustain an extended family in work and income, but not enough to provoke the ire of the cooperativistas, or Sánchez Gordillo. Even in the case of the few families with enough work to sporadically employ others, usually to help with harvests, there is an obvious — and widely recognized — distinction between that kind of land ownership and the latifundios owned by the Houses of Alba and Infantado. No one in this part of the world seems to be absolutist about property and profit, and consequently the kulaks aren’t nervously looking over their shoulders. Left or right, no one is ignorant of marinaleños’ exceptionalism. They are working towards a common goal, for the benefit of a collective, not an individual; they know they are part of something bigger than the farm itself. And yet, in a day-to-day sense, the attitude to work itself is much the same as anywhere else. “It’s really tiring, it’s hard work,” is the first response of most young — and not so young — marinaleños to questions about work in the fields. “It’s boring and repetitive” is the most common description of work on the factory production line. Neither of these assessments is exactly surprising. A change in sociopolitical context or labor organization, however dramatic, does little to change the nature of work itself. But not a single marinaleño I met neglected to mention the socio-political context of that work, the history of the struggle to create it, or the parlous situation in the rest of crisis-hit Spain. The lament about work being boring, tiring or unstimulating was always followed by a “but”: but at least we have it here. But at least we have it now. But at least we have it together. But at least we fought and won it for ourselves. The marinaleño attitude to work is best explained not as “striving for the sake of striving,” as if there was something innately noble about work, but as striving for autonomy — for the dignity that comes from people’s sovereignty over their own survival. One of the most well-known activities of Marinaleda is the ritual of Domingos Rojos, Red Sundays. Once a month, the people gather outside the Sindicato, usually as early as 8 am, and proceed to spend the day working voluntarily to improve the village. Red Sundays were born after a 1983 speech in which Prime Minister Felipe González (an Andalusian himself) dusted off the old canard that Andalusian farm laborers were lazy and accused them of spending their community employment pay on luxuries like cars. Marinaleda held a Saturday night assembly and decided to devote the next day to improving the pueblo. Sánchez Gordillo called up the press and informed them as follows: “We want to demonstrate that in order to find laziness and corruption, the prime minister should look not at the Andalusian jornaleros, but somewhere closer to home. We want to show him that when the government rests, the jornaleros are working.” And so the next day, they set about several hours of street repair, painting and landscaping in the public squares. It was a defiant performance and a humiliation for the prime minister. Talego, the anthropologist, observed that Red Sundays also play a big part in solidifying community sensibility and tightening the bonds of the pueblo — thus boosting participation and faith in the project. Individuals’ participation in Red Sundays, demonstrations, general assemblies and even village festivities is informally, unofficially noticed, and becomes relevant when dishing out paid work at El Humoso. More than that, though, voluntary work arguably changes the labor relation. Marinaleda exists in a capitalist world, but proving that “we can work for reasons other than money” is, for Sánchez Gordillo, an act of subversion of capitalism in itself. The primacy of work and land within the Marinaleda mythology comes less easily to the younger generation, who did not struggle throughout their lives to achieve it. Modern technology and transportation has dissolved the hard boundaries of the pueblo — and its tight occupational possibilities — in a way that would have been inconceivable even 30 years ago. The Andalusian jornalero identity — with its unique iteration in each pueblo — has been remarkably tenacious over the centuries, but the fact is that both culture and people now seep in and out of the borders of each town with incredible ease. Cheap cars, cheap flights and the internet have flattened the landscape. “A thousand euros a month is fine — 1,200 a month is pretty good,” Cristina, a young law graduate, told me one evening as we nursed our cañitas of cheap lager. We were talking about the mileuristas, her generation, so christened because they had learned to get by on one thousand euros (mil euros) per month. The Spanish minimum wage works out at €600–700 a month, and unemployment benefit is generally €500–600 per month. Cristina was living with her mother in Marinaleda while also renting a room in a flat in Estepa, where she works as a teacher some of the week. She lives a dual life, she explained: she loves her life in the larger pueblo, shared with other people her age; it offers an escape of sorts from an unfortunately prolonged adolescence. Her peers in Estepa tell the same story — many 30 or above and still living with their parents. In the perfect storm of Ryanair, la crisis and the internet, a new kind of wanderlust-by-necessity is detectable among Spain’s younger generations — and it has infiltrated Marinaleda, too. There is a growing sense that the current Spanish juventud sin futuro, youth without a future, will find one only by emigrating. In 2013, everyone knows that full employment in Marinaleda is a myth. In fact, it’s not even fair to call it a myth: “They don’t really have full employment!” is a straw man set up by right-wing critics of the village. Sánchez Gordillo’s line in interviews in recent years has been: “We have almost full employment.” This is correct, according to the official statistics from the Junta de Andalucía: the unemployment rate in the village is 5 to 6 percent. The situation is certainly tougher now than it has been for a long time. One evening in the Centro de Adultos, where evening classes take place, I picked up a Youth of Marinaleda Bulletin, a monthly four-page leaflet produced by the town hall. Alongside notices of go-karting and basketball tournaments, and courses in “personal marketing” for budding entrepreneurs, laid on by the Andalusian Youth Institute, was a page of jobseeker websites including summerjobs.com, pickingjobs.com, holidayresortjobs.com, workingholidayguru.com, gapwork.com. Almost all offered short-term, seasonal work oriented around harvests and holiday high seasons on the coast. On the back was another page devoted to job vacancies, advertising work in McDonald’s, Toys R Us and Disneyland — or, for anyone willing to travel beyond the Spanish border, cleaning jobs in France. The modish term “the precariat” describes the group of workers experiencing ever-worsening labor conditions under late capitalism following the slow disintegration of the job-for-life, with its relatively stable, union-backed working conditions and pensions. In Spain Rajoy’s detested labor reforms have deliberately accelerated the process (for the good of the economy, naturally). But in a sense, it was ever thus. Short-term contracts, long periods without work, permanent financial insecurity and poverty pay have been the norm for centuries for Andalusian jornaleros. In a region which never really experienced Fordism — the standardized system of industrial mass production embodied by the Ford Motor Company in the United States — post-Fordism is a slightly meaningless concept. For young marinaleños who can’t or don’t want to work in the cooperative, low-paid seasonal jobs on the coast are just a modern spin on labor conditions their ancestors faced before 1979 — neo-feudalism with a Disney smile. In Somonte, the latest, most high-profile site of Andalusian anarchist land expropriation, I had seen a sophisticated mural which expressed a sentiment I expected to hear more of. Painted in green on the side of a white farmhouse building, in large capitals, it read Andalusians — don’t emigrate, fight! Further down, underneath stenciled portraits of Zapata, Malcolm X and Gerónimo, was a quote from the Civil War nationalist Blas Infante: The land is yours reclaim it! I’ve encountered almost no resentment of the people emigrating in search of work — but then the generation of ninis (neither work nor study) are not the first to face this dilemma: their parents had to do the same, and their parents before that. The difference is now you emigrate on a cheap fight to Berlin or London, rather than hitching a slow ride to the fields or factories of the north. Back in Marinaleda we were invited to visit one of the casitas, the self-built houses, belonging to a family with two grown-up children facing the realities of the job market. The invite had come via Ezequiel, a friend of a friend who I’d met once in London, when he was a diffident young man lost in the big city, mute from lack of English, slightly perplexed at my enthusiasm for his obscure little pueblo. Ezequiel had returned to his parents’ house because he had a couple of days off from his job working in a Seville hotel reception, and greeted us warmly — cheeky smiles swim near the surface of the Andalusian gene pool. The house was lovely; modest but big enough, clean but lived in. Each of the 350 casitas built under Sánchez Gordillo’s leadership consists of 90 square meters for construction and 100 square meters for a patio or garden, and normally incorporates three bedrooms, a bathroom, living room, kitchen and courtyard. The living room was dominated by a towering bookcase and a large cage of chirruping birds. “Say ‘Gordillo’!” Javi instructed a parrot, pointing a finger at it mock sternly. The parrot looked at him impassively and puffed its chest out. “Say ‘communism’!” The bird refused. Ezequiel is one of many young marinaleños torn between utopia and the wider world. He wanted to do something more exciting than farming, he explained, whatever the benefits of the cooperative might be. He spent most of the week working in Seville, improving his English, renting a small room in a flat there, but even so hadn’t quite cut the apron-strings to utopia: he was still coming back to stay at his parents’ house most weeks and was on the waiting list to build a casita of his own in Marinaleda. A 15-euro-a-month “mortgage” for a brand-new house in his pueblo, especially in the context of the Spanish housing crisis, would be pretty hard to argue with. In a way, Ezequiel was no different than any Spaniard of his age — more enticed by the possibilities of gallivanting and adventure than by Sánchez Gordillo’s earnest poems about struggle. His parents came back from Catalunya to join the revolution, he acknowledged. “Ah, but this generation, they don’t care about communism,” interrupted my friend Javi, mocking Ezequiel for his ideological heresy. There was some truth to Javi’s jibe, and I heard it said more than once in the village, and in the surrounding pueblos, that those who inherited utopia may not treat it with the same reverence as those who struggled to create it. And yet, even with Ezequiel, it felt like a certain level of solidarity had been unconsciously embedded: despite his middling English, he wanted to practice, and told a lucid English-language version of the history of the land seizures that had happened before he was born. The Duke of Infantado, he said, was “just walking around with a horse, while people starved in Marinaleda.” And then he reeled off the word “expropriated” without a second thought. Most English people don’t know the word “expropriated,” I told him. This essay is adapted from The Village Against the World, by Dan Hancox, published this month by Verso Books. 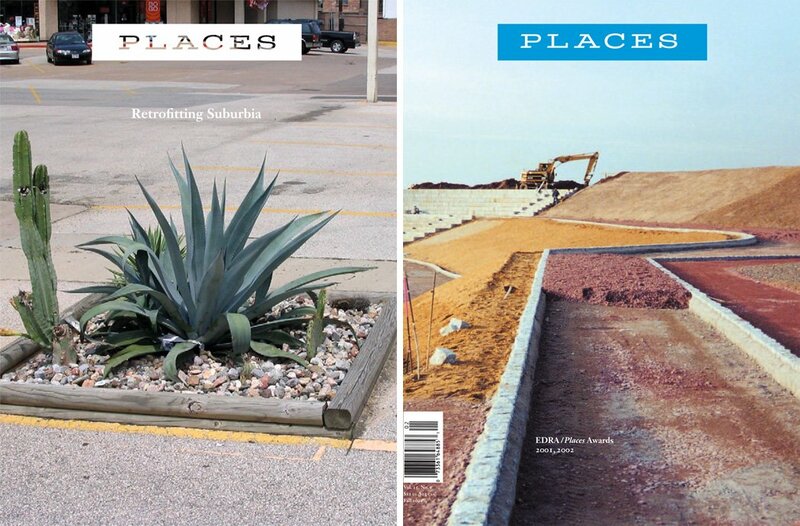 For related work on Places, see Public and Common(s), by Reinhold Martin, and our articles on Public and Private. Olympian struggles for affordable housing from Atlanta to Rio de Janeiro. Grace Farms and Rural Studio would seem to be perfect architectural embodiments of the extreme inequality of wealth that afflicts the world today. But it’s not so simple. Sampling the street sounds of Indianapolis. Photographs and field recordings from the Indy Sound Map. I read this hoping to discover that somewhere in the Spanish hills there was a village that had made participatory socialism work. But all I found was a story of theft, intimidation, and subsidy. I'm guessing the UK expats there were quiet because they disproved but knew better than to rock the boat. Dan Hancox is a journalist and author of The Village Against the World. Read more on Places from books published by Verso.